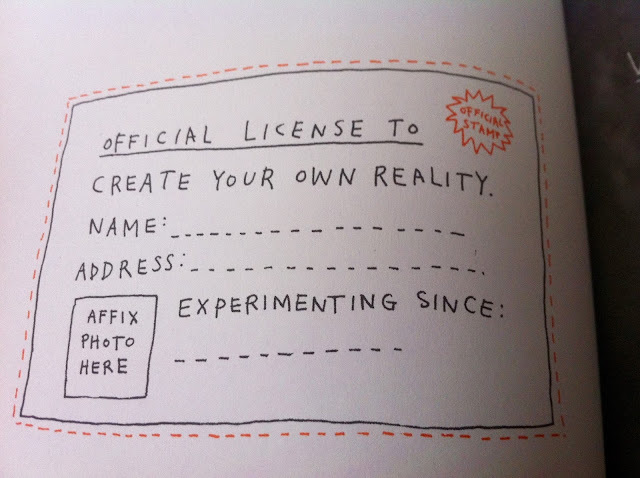 A few weeks ago I saw the below license while reading Keri Smith's delightful "How to Be an Explorer of the World: Portable Life Museum." 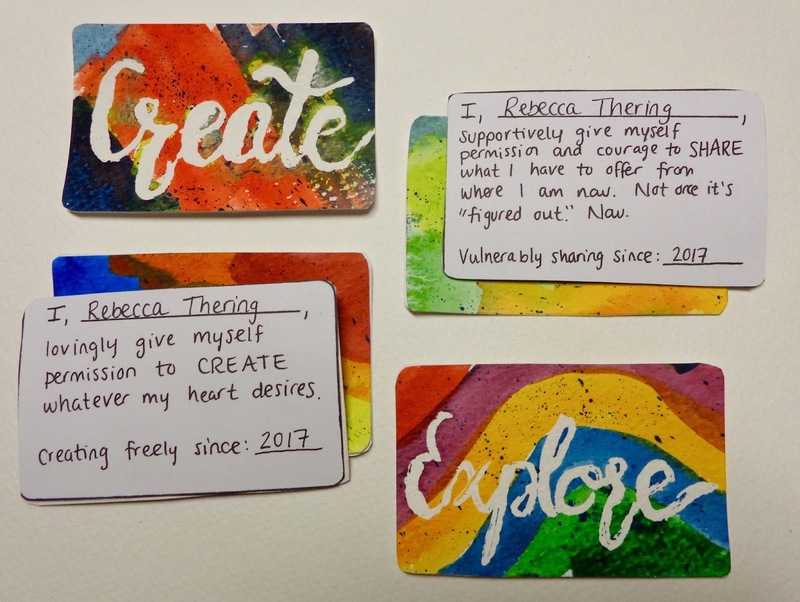 That's when I had the idea of license-sized cards that would give yourself permission to create, explore, fail, be yourself—whatever you want. I let the idea simmer for a few days, then decided I would make them before I take off. So I added it to my "finish before leaving" list, alongside my postcard binder book, 2016 taxes, and other projects that are best completed from home. Elin Lööw has qualified as a creative. But there were no such paper. I wanted to be a creative, a writer, an artist. I wanted to be brave. I 2016, I stopped waiting for permission and guess what? Nothing bad happened at all. I just turned into those things I'd dreamed of being. Those lines spoke to me and gave me a huge push to create these cards. 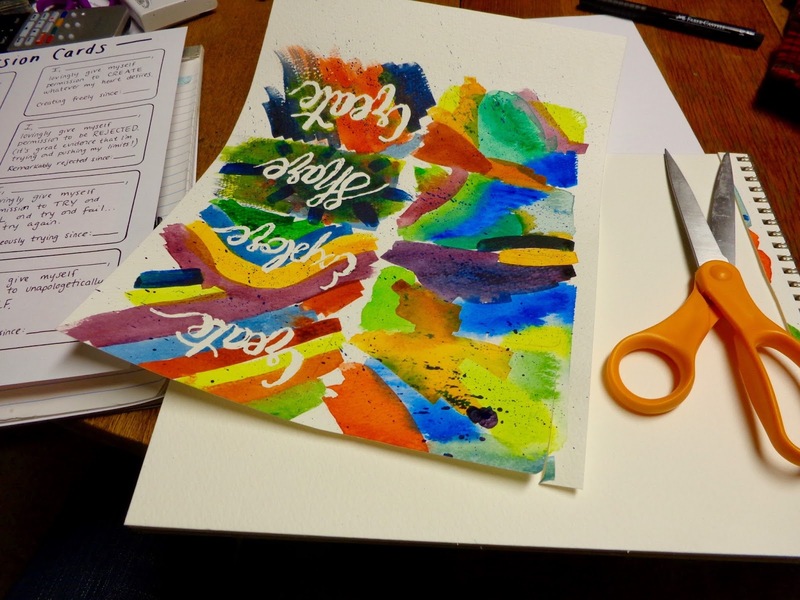 There hadn't been an invitation or paper for Elin when she began her Fear Year, but we could create one! 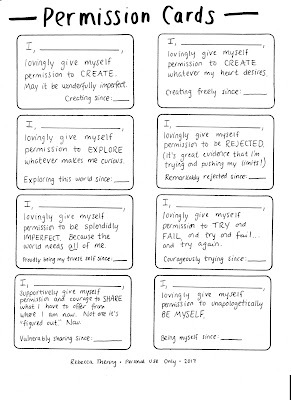 We could give ourselves permission cards whenever needed. 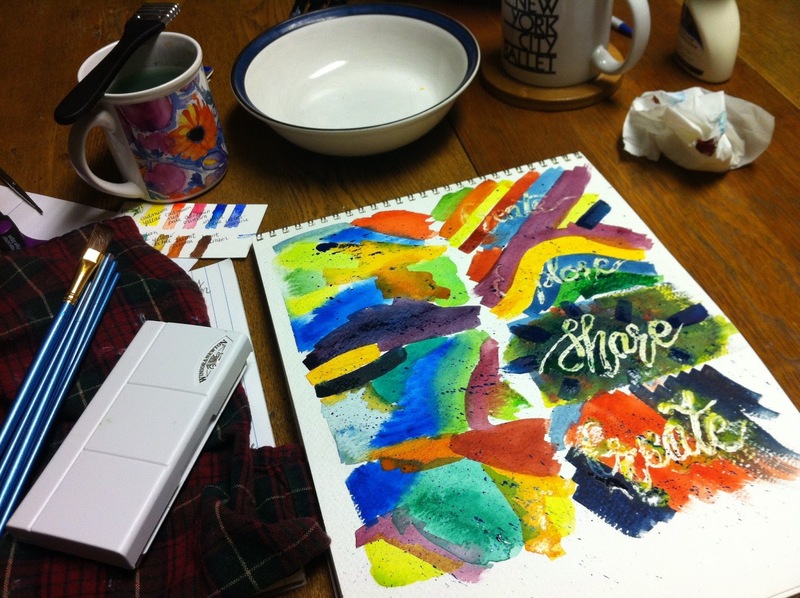 That same night I brought the above sketch along to an art/coloring night with two friends to get their opinion. Rather than asking "What do you think of this idea?" or "Is it stupid, would anyone actually want one of these?" 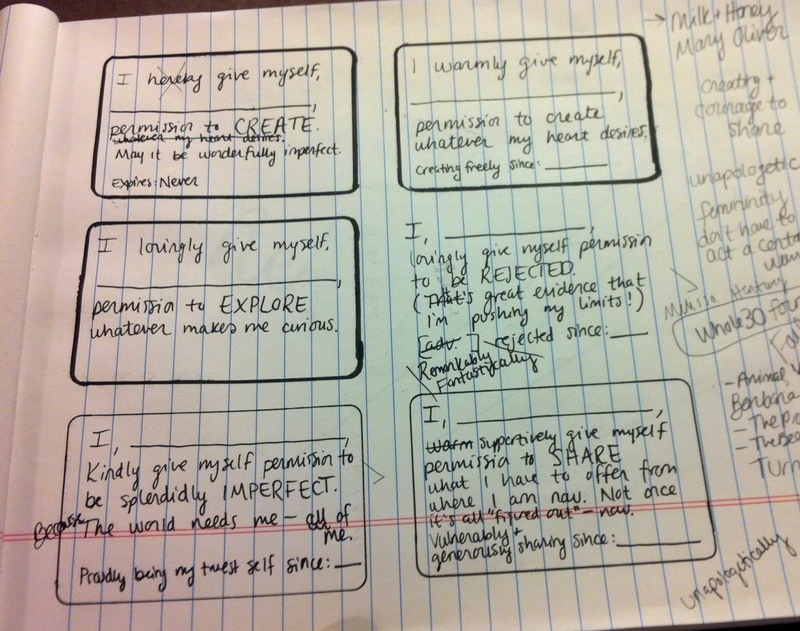 I decided to ask questions with the assumption that I was making them: "Which of these words/phrases resonate with you?" "Would you include an expiration date or not?" Etc. I traced an old Walgreens card eight times on a piece of watercolor paper. 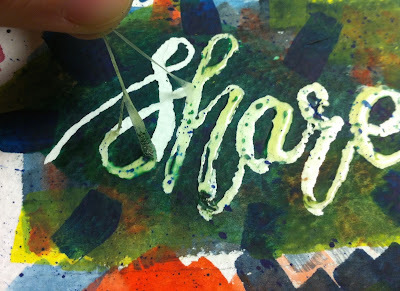 On four of them I used masking fluid for the first time ever to write a few words. Once that dried, I covered them in color. 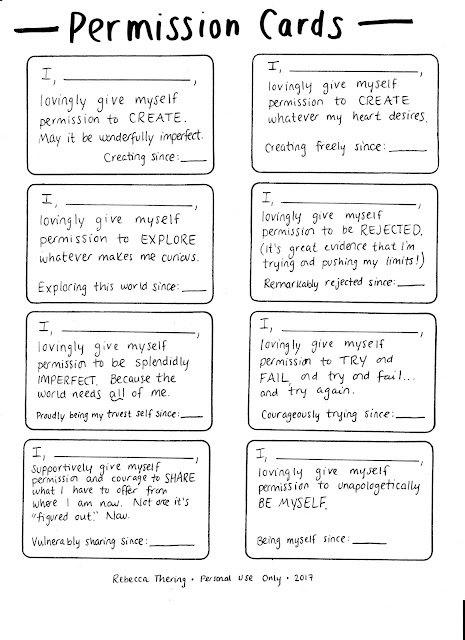 While that was drying, I wrote up eight permission cards on a piece of printer paper (PDF is at the end). By the time I finished those, it was peeling time—fun! And adhered fronts to backs, making eight cards. If this is something you'd like to have, go ahead and make a permission card (or cards) for yourself! 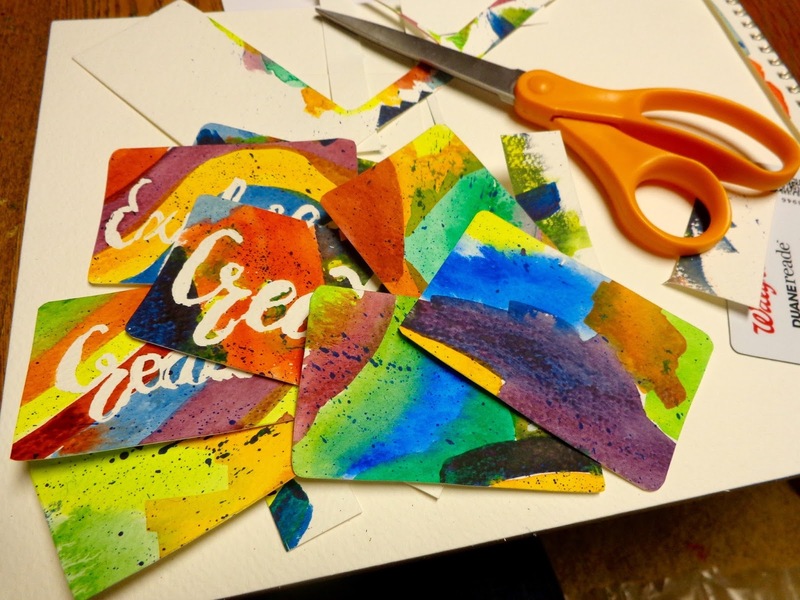 Decorate them any way you'd like, or make them from an old deck of playing cards or an old gift card—the sky's the limit. 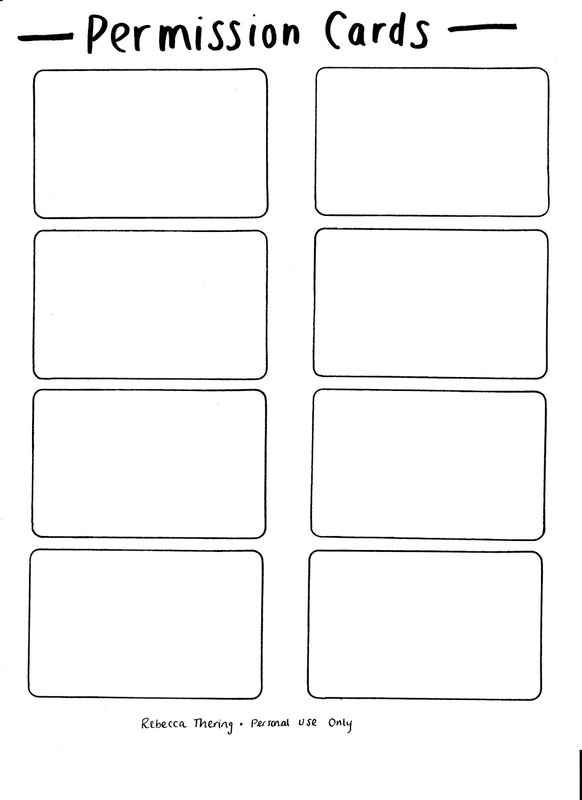 You can use the first eight cards that I wrote, or create your own using the templates here. 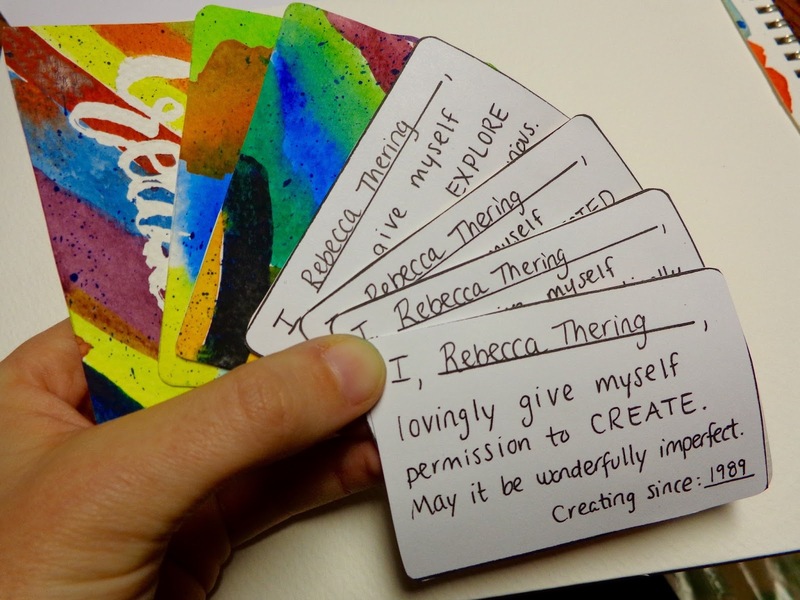 Your cards certainly don't have to pertain to creativity, either: What do you need to give yourself permission to do now? The PDFs for both can be downloaded here for free. 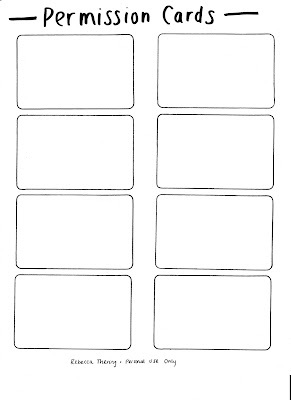 Also, I'm very interested to know: Which phrases from these eight cards—if any—resonate most with you? Least? What do you want to give yourself permission to do? 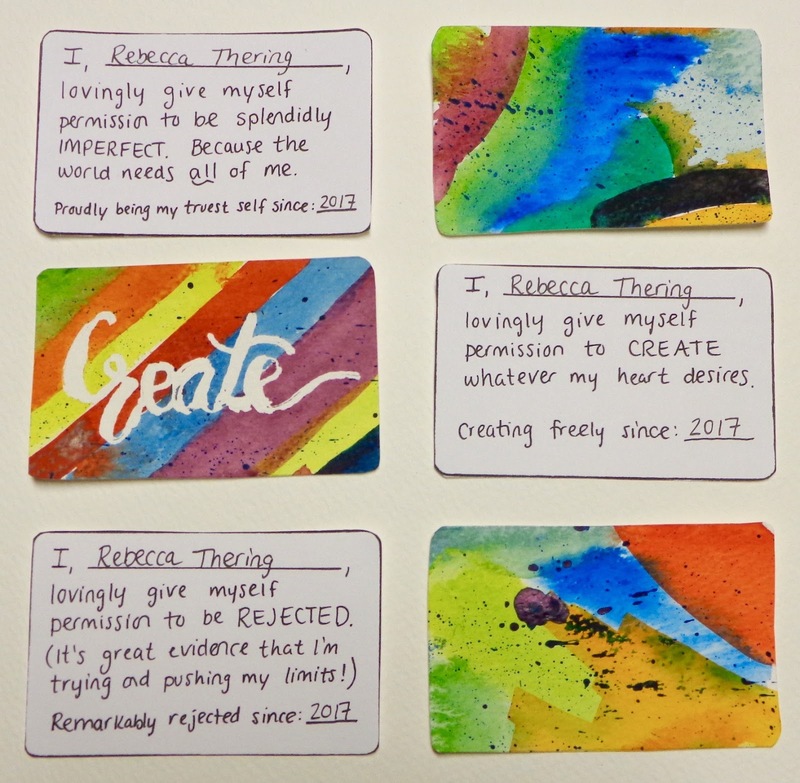 What will your card say?